Gone are the days of paying $10 or more for an audiobook. Sure, you can get a monthly subscription to Audible or purchase audiobooks separately. But why would you do that when there are numerous free resources on the web that have huge databases full of audiobooks? Even better: Many of these sites offer free online listening without requiring you to download anything. Just hook up your headphones and stream away, all for free! How can you go about finding these awesome places with unlimited free audiobooks? This list will get you on your way to building a collection of classics, bestsellers, and new releases, all on your favorite device. You might not think to check your library to learn where to go to listen to streaming audiobooks for free. But it’s probably the best resource! Most libraries now use apps to give their patrons easier access to their library accounts, digital books, and even audiobooks. Mine, for example, uses Libby, which I’ll get into detail about below. Most of these apps will let cardholding library members read and listen to books for free using their library card. You’ll “borrow” them just like you would regular books, but you can do it all on your device. Head to your local branch to ask if it has anything like that available. It could be all you need to get all the classics and new releases right at your fingertips for free, without credit card in hand! Archive.org clumps together several collections of free eBooks from all over the web, giving you a huge selection to choose from. Most of them you’ll have to download, but others you can just stream on your computer or device. Book Box is an adorable site for kids to find books in the form of videos. However, kids can always just listen to the audio if they don’t want to see the accompanying pictures. There are 37 stories on the site that teach different lessons and help kids learn basic concepts. You can also download the app to get the stories on your child’s iOS or Android device. Digital Book not only has several audiobooks up for grabs – for free! – but it’s also laid out beautifully, which is unique for these types of sites. There are over 5,000 free audiobooks to enjoy, and you can either stream them on the site, in a podcast app, or download them to your device. If you want to find out what the hottest books are on the site, you can check out the Trending category! Ejunto doesn’t have many audio books available, but it’s a good place to check out if you need stories about history or famous people in history. For example, you can hear an audio version of The Declaration of Independence and a biography about Abraham Lincoln. This site seems to have a vast selection of audiobooks available for free in a wide range of categories, like Bible, Science, and True Story. On the homepage, you’ll find a list of features books, but you can also use the menu to browse by genre, author, Kindle books, and more. Or, use the search function to find a specific title. Are you looking for the ultimate in classics? Maybe you need an audio book for school, but don’t want to pay for it. This site has a lot of famous classic tales, like Alice in Wonderland and Huckleberry Finn. You can either download an MP3 of the audio file or download a file for an iPod from the site, but there are unfortunately no streaming capabilities. Hoopla is a library app that connects library members with all the books they want to read. You just need to sign up using your library card for a connected library, download the app, and start searching. You can borrow eBooks and audiobooks for a specific time. When you’re done, send them back and borrow more! The app is available on Google Play, the App Store, Roku, Chromecast, Fire TV, and more. KiddieRecords is a simple site that offers mostly classic children’s songs for free, but there are also some audio books that have songs that go along with them. This could be a fun way to introduce your kids to some songs and stories you loved growing up! You can download a file or stream directly from your computer. Libby is an app for libraries to use to give their members more access to ebooks and audiobooks. I’ve used this app for over a year now and have it connected to my library card. It’s basically like a digital library in your pocket! You can borrow magazines and books right from your device, and keep them for as long as your library allows, just like you’d do if you physically went to the library. You’ll also have access to audiobooks offered by your library that you can stream without downloading. If you’re a member of more than one library that uses Libby, you can connect to each of them with your cards using one account. You can even sample an audiobook before you borrow it, just to make sure it was what you were looking for. If you’re not sure if Libby works with your library, a quick phone call to your local branch should give you the information you need. LibriVox is one of the most popular places to find audiobooks on the web for free. All the books are read by volunteers from all around the world, so you can even sign up to be one yourself! Since these books are all free under public domain usage, you can download them if you’d like, but you can also listen to them by streaming them via your computer. This is a really cute site for online kids activities, like free coloring pages, games, and audio stories. Everything comes from Chuck Brown, the site’s creator, so the stories you find here are also read by him. There are some classics as well as some not-as-known stories. Find classic and modern poems and stories on Lit2Go, which you can download to your computer or listen to on your device. This site also offers PDF files of every poem or story, which is helpful if you like to read along or need it as a reference for school work. On Loyal Books, you’ll find audio stories in various genres and languages. The interesting thing about this site is that you can either stream or download the whole book, or just stream or download individual chapters. There are also different options for streaming and downloading, so almost anyone, regardless of their device, can enjoy the stories. I love what the National Library Service does for blind individuals! This organization turns books into audiobooks for individuals who have vision impairments, are legally blind, or have some other disability that makes it challenging for them to read. The NLS partners with libraries around the country to deliver braille books to your door or offer their audio versions via a downloadable link. You don’t have to have a low income to qualify for this helpful service. You can apply for more information here. Open Culture has over 900 100% free audiobooks available for downloading and streaming, depending on its source. You can find classics from people like Jane Austen, Oscar Wilde, and Lewis Carroll. This app is available for Android and iOS devices to bring free audio books right to your phone or tablet. It includes a large selection of both classics and new stories. PodBean does have paid plans, but the free plan gives you 5 hours of storage space and up to 100 GB of bandwidth every month. This site is all about free books, and by partnering with some of the other free audiobook sites, it’s able to produce a large database of stories to listen to. There are also books in languages other than English, like Chinese and French. This site works with libraries and schools to offer thousands of new and classic audiobooks to its audience. You’ll need to register to start streaming. Then, you can either stream on your computer or download the RBDigital app to listen to books on your device. Scribl is an interesting site that offers crowd pricing for its books. What that means is, the more popular a book is, the cheaper it’ll be for customers. While Scribl does charge for its audiobooks once they’ve been on the site for a while, it also makes them free when they first land on the site. It’s a good idea to check back frequently to see what’s new so you don’t miss your chance at listening for free! Spotify is known for being a free music platform, but there’s actually an audiobook playlist that you can subscribe to for free audiobook listening! It’s called Audio Books on Spotify (there’s also one called Audiobooks). Most of the books on the playlist are classics, like Invisible Man and The Adventures of Tom Sawyer. Storynory is a good site for kids and teens to find stories geared toward their age. You’ll find everything from fairytales to poems here. Sync is a website for teens to find new books to listen to. You can sign up starting April 25th to listen for free, as the program is focused on encouraging reading during the summer. Find classic literature on ThoughtAudio for free. Some of the popular titles here include To Build a Fire by Jack London and The Raven by Edgar Allan Poe. This is a completely digital library where you can find eBooks and audiobooks for free! Register for an account and then download the reading app to enjoy your books. Yes, YouTube is famous for its videos, but that’s not all it’s good for. I’ve found several audio books on the site for myself and my kids. I wouldn’t recommend it as your go-to place for audiobooks, but it definitely is a viable option. Just use the search bar to search for your book’s title, followed by “audiobook” to see what comes up. There’s a good chance you might find a recording of the book to listen to. YouTube seems to work better for kids books, but some of your favorites might be there too. I hope that at least a few of these sites work well for you to find the books you’re looking for. Listening to audiobooks can be great for people with vision problems, or those who like to wind down with a story while they’re doing other tasks, like driving or computer work. There’s no reason you should have to pay for every audiobook you listen to, though. That can get pricey if you’re an avid listener! Check out the sites above and see which ones you like. Be sure to bookmark them and switch between them to find new stories to enjoy. 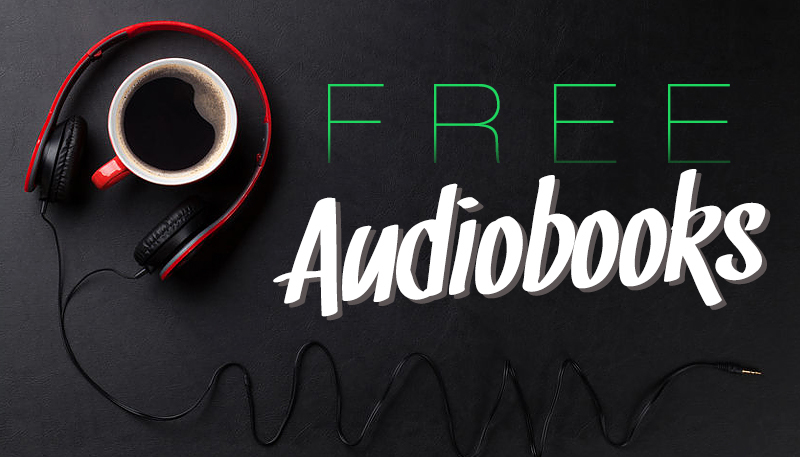 Of course, if you know of any other places to get free audiobooks that we didn’t list here, please let us know in the comments!